The Great EPCOT Debate - Entertainment - Believe Vacations | Dream It. Do It. We are now past the half way part of our series where last week, our agents continued the Great EPCOT Debate by focusing on the Lands /Themes at EPCOT and how it stacked up against the ones at the other 3 Walt Disney World parks. The findings and debate concluded that the Magic Kingdom is the standard setter but when it comes to lands/themes for adults, EPCOT IS KING! EPCOT falls behind 1-2 with round 4 this week! 1) Rides, rides, rides. EPCOT boasts the fastest ride in all of WDW (Test Track), Spaceship Earth is as iconic a ride as there is in any theme park and Soarin’ is immersive and unique with it’s sights and smells but once you ride those three, there isn’t much else. Attractions that are exciting to ride and can be repeated over and over like Space Mountain, Rock N’ Roller Coaster, Expedition Everest, Flight of Passage, Slinky Dog Dash, Big Thunder Mountain, etc. are numerous and varied at the other parks. 2) Shows and Spectaculars – Illuminations has fireworks, water projects and music and lights but leaving soon. Fantasmic has the fire, the water, the lasers, the action, the music, the lights and the drama all in one 20-minute show. So that alone wins. But you won’t find much better than Happily Ever After at the Magic Kingdom. Throughout the day, EPCOT does not have a parade. Magic Kingdom has the Festival of Fantasy. 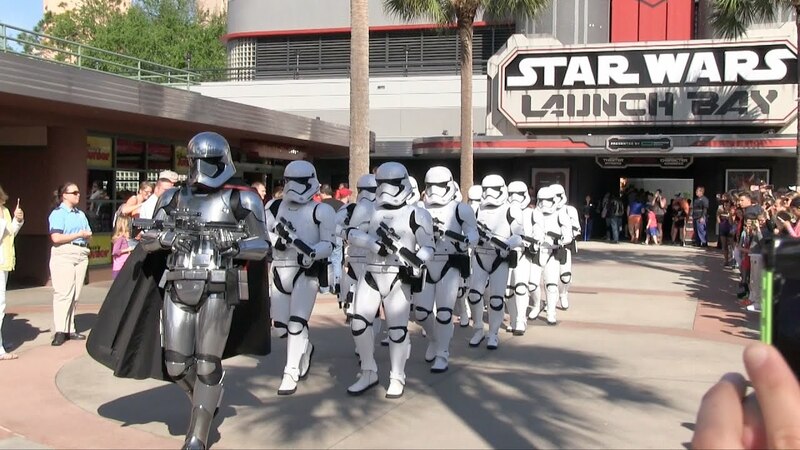 Hollywood Studios has a parade of Stormtroopers throughout the day. And if you’re looking for learning and a show, Animal Kingdom has Up! A Great Bird Adventure. 1) Rides, rides, rides. Many people who travel to Disney World do not enjoy fast rides, but go to be immersed in all the park has to offer. EPCOT caters to everyone. When my grandmother came with us to Disney she couldn’t Space Mountain or Big Thunder Mountain, but she could go on Spaceship Earth and Soarin’! I could go on Soarin’ over and over again and mainly because I love the music so much. It’s true that EPCOT doesn’t have as many rides as the other parks, but there are several others besides Test Track and Soarin’. Frozen Ever After, Nemo, 3 Caballeros are favorites at the park. Plus, Guardians of the Galaxy and Ratatouille will be there soon! EPCOT has a meet and greet for Anna and Elsa and the Character Spot is awesome for meeting Mickey and Friends in one place! Baymax, Sadness and Joy are there too! And who can forget, Agent P’s World Showcase Adventure! 2) Shows and Spectaculars – Yes, Hollywood Studios does have Fantasmic, but you can see the entire park in half a day and not see that show. Majority of clients and people I have spoken with had every intention of seeing the show, but get done with all the attractions they wanted earlier in the day and did not feel the need to wait around till close. EPCOT might not have a parade or live show, but it has many movies to watch that are both beautiful to watch and cool at the same time. Watching O Canada in the 360 degree theater is beyond cool! 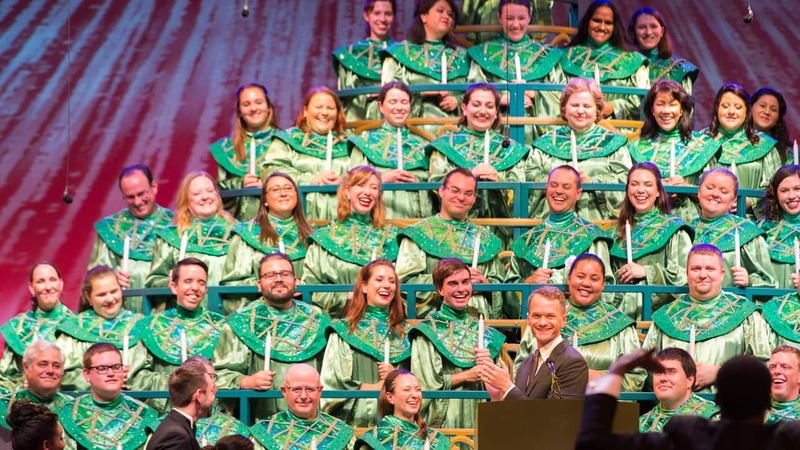 What about the live entertainment options like the concert series and the performing arts groups, the school bands, the Candlelight Processional and the Voices of Liberty? And EPCOT FOREVER will be amazing! Another win for Other Parks overall but a trend is becoming very noticeable – the EPCOT seasonal events are huge winners in the eyes of our judges and we’re also noticing the judges’ shared optimism on the POTENTIAL that EPCOT has for the future. New entertainment options are on the horizon including the Illuminations replacement show EPCOT FOREVER starting later in the summer. Other Parks goes up 3-1 overall but this is based on past and current experiences. Like they said, in another year or so, EPCOT may very well take this round. We’ll conclude the different categories with Attractions so come back next week for the final round. Until next week, always remember that one little spark of inspiration is at the heart of all creation!